Citizens’ demand for digital, real-time engagement continues to grow. Yet, for many agencies and leaders, investing in technology to improve the customer experience (CX) takes a back seat to other competing priorities. 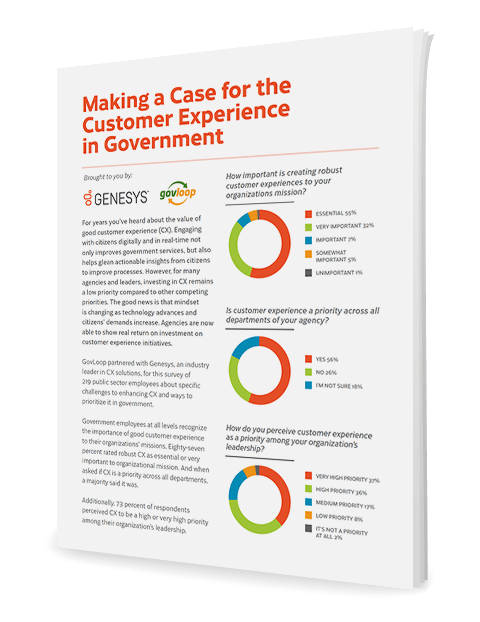 While there are often challenges to prioritizing and enhancing CX in government, there also is growing recognition of its importance to an organization’s overall mission. Overcoming these challenges begins with building the business case for CX investments.